College is the time when you need to get serious about your education, career goals and aspirations, in an effort to become employed and be an independent adult. However, it doesn’t mean that you have to miss out the opportunities to enjoy college life. On the contrary, college can be a time when you can have more fun in your life. Although having fun can be part of college life, it is important to note that designing your college life style is crucial to your success. Here are some of the things that you would need to remember when enjoying your college life. It is quite easy to get carried away when you are having too much fun in college, and forget the real purpose of attending college. At no point in time should you forget that the main reason you are attending college is to get education — ask yourself: “why are you there in the first place?” The fun that you have is only a spice of college life and not your primary focus. If you forget this important thing, you will end up making a mess of your life in the future. This should never be kept in your mind as a mere cliché advice. On the contrary, you need to act upon these advice. What that means is that at no point should fun be allowed to take priority over education. A real life example would be ignoring friends who would want to have a good time at a party, because of having an assignment that is due soon. As with everything, having fun costs money. It is, therefore, necessary to have proper controls over your finances so that enjoyment doesn’t come at the price of financial hardship. Since everything including fun costs money, it will be helpful if you plan out in advance so that you don’t need to worry about not having enough money to spend on enjoyment. This can include things such as getting a part-time job, etc. Not everyone is the same. Some are oriented entirely in the direction of education and make it a priority over everything else. Others pay more attention to having fun while at the same time ignoring their studies completely. Therefore, it is necessary that you choose the right friend circle so that you get the right influence without compromising your academics. It will not be easy since it will take some amount of effort to ‘break into’ a friend circle. But if you do it right, it will certainly go a long way in helping you down the road — meeting great people who can help you make the best of your college life. Last but not the least is to allocate some time when you can have fun. It is necessary that everything is planned out accordingly ensuring that there is sufficient time left for studying and getting other things done. 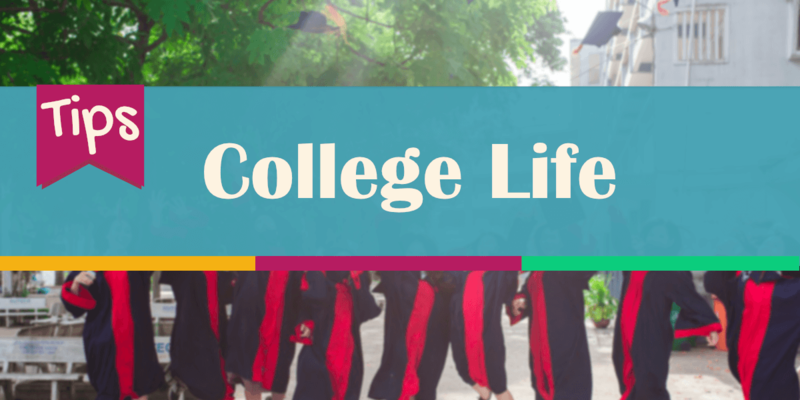 As a whole, these are some of the best ways you can enjoy your college life. It might seem a bit tedious. But if you have done it right, you will be able to have a great deal of fun while at the same time acing in academics.